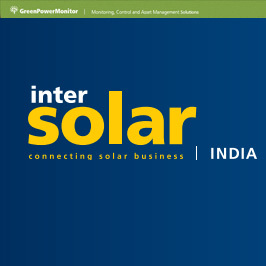 GreenPowerMonitor, now part of DNV GL, will be attending Intersolar India alongside DNV GL. GPM has a lot to showcase with some outstanding new tools we have developed and integrated into our platform: GPM Portal, GPM Plus & GPM SCADA. GreenPowerMonitor would be pleased to discuss and demonstrate the value our solutions can add to your assets through our controls, performance monitoring, portfolio management, and O&M tools. Please come visit our experts at stand #1371. On Wednesday 6 December at 16:30 – 18:00 DNV GL will host a stand party to celebrate the recent launch of the Energy Transition Outlook report. Join us for drinks, networking and stand the chance to win a prize! We look forward to meeting you at Intersolar India 2017.